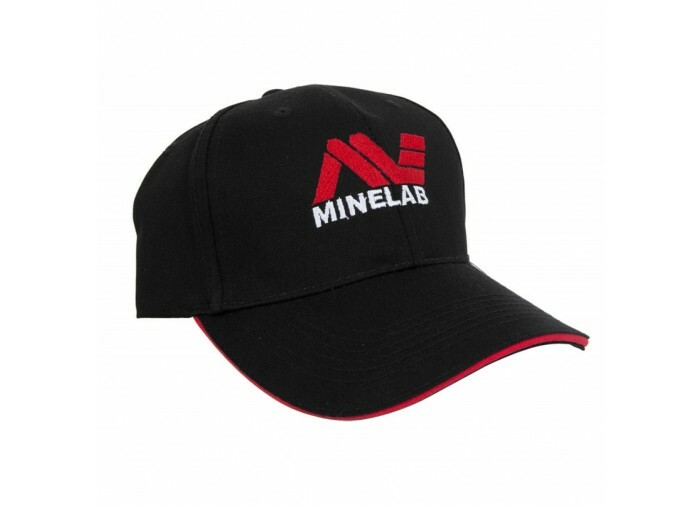 Minelab Premium (six) panel Baseball Cap with custom embroidered Minelab logo on the front and Minelab Treasure hunter embroidered on the left panel. 100% cool cotton for all day comfort. 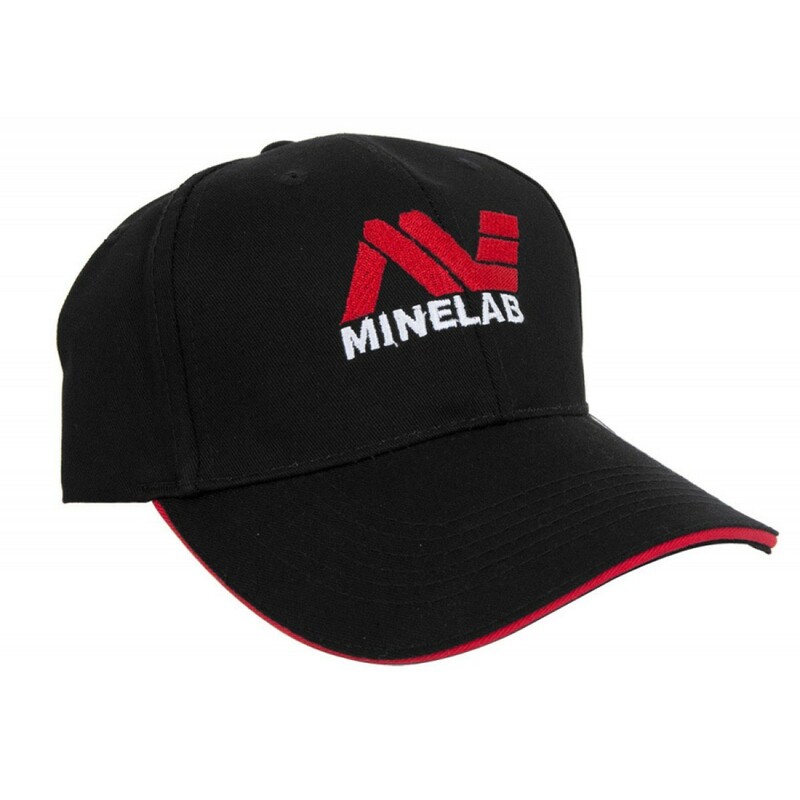 Does a good job keeping sun out of your eyes and it includes a fully adjustable closure strap, one size "fits all." 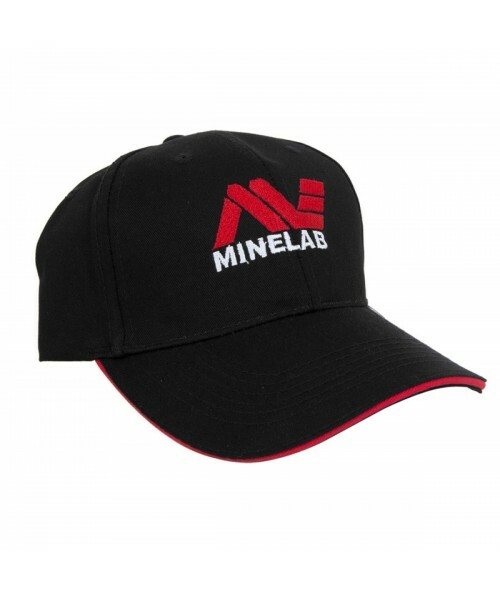 Deep rich black color with red-trimmed pre-curved visor.